Breathable flannel Convert-A-Fit waterbed sheets feature a fully elasticized bottom fitted sheet that locks itself to the bottom of the mattress, like a shower cap. 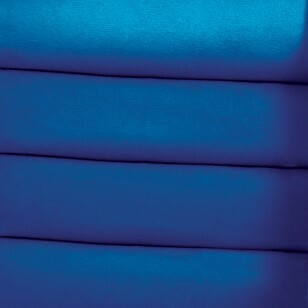 These sheets will fit both softside and hardside waterbeds up to 15" thick. Available in Super Single, Queen and King sizes. Convert-A-Fit means that the same set of sheets will fit conventional mattresses and softsides up to 15" thick or wood frame hardside waterbed mattresses. The waterbed sleeper will appreciate the fact the we overcut and fully elasticize the entire perimeter of the fitted sheet. This allows the fitted sheet to perform like a shower cap by locking itself to the bottom of the waterbed mattress. We also have the answer to the flat sheet dilemma. Some like their flat sheet to be tucked in but don't like their toes to feel trapped. Some like their flat sheet tucked in but get frustrated when in comes untucked every night. Our Convert-A-Fit design attaches the top sheet to the fully elasticized fitted sheet. We only attach the sheets at the foot of the bed in the middle 18" allowing for proper ventilation. With so many features in one set of sheets it is no wonder that Convert-A-Fit sheets are a household favorite. Includes top and bottom sheets and 2 King or 2 Queen pillowcases. Single sheets include one pillowcase. VERY SOFT. CANNOT COMPETE WITH ANY OTHER SHEETS. WOULD BUY A COUPLE MORE SETS BUT TOO EXPENSIVE.